3December is one of those trendy rename-a-month-for-an-events things, but instead of growing facial hair to fight cancer, it’s just artists challenging themselves to produce a piece of work each day. How selfish! 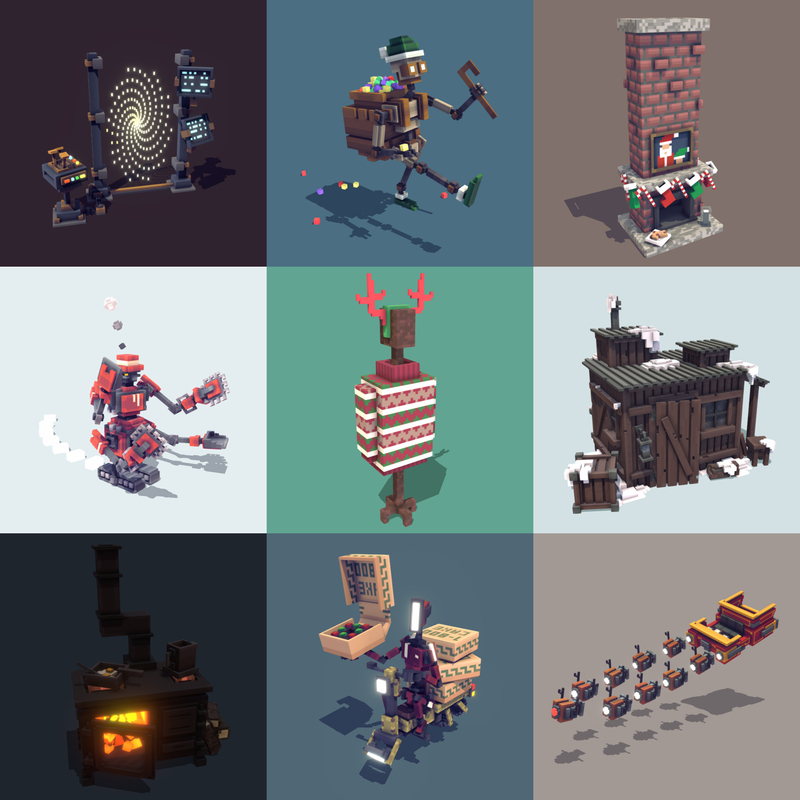 More specifically on Sketchfab the 3December challenge was to produce 21 days of models based on a theme given each day. Not too bad for a collection of work done in about 2 hours each day during one of the busiest months of the year – I deserve a medal or something! When you have 21 kids… picking just 9 is surprisingly easy! And as if that busy month of voxelling wasn’t enough – I even got to write a blog post about the whole thing over on Sketchfab too! So if taking a peek behind the curtain is your sort of thing, then why not head over there and check it out – NomadKing’s 3December. Thanks for reading and Happy 2019!